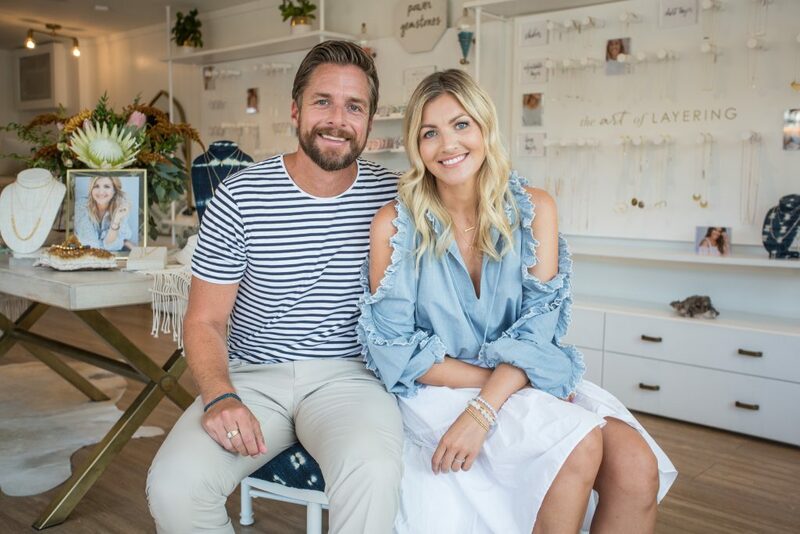 Laguna Beach residents Jason and Gorjana Reidel, the husband-and-wife owners of successful and growing Gorjana jewelry brand. After initially traveling to boutiques throughout the state to sell their jewelry, Gorjana founders Jason and Gorjana Reidel have experienced immense success as the company continues to grow. Located downtown on Beach Street, Gorjana has become a staple for those seeking fine jewelry that is also affordable. The charming shop has a stunningly chic interior, with white walls, wood flooring, plenty of natural light and verdant plants to offset the gold accents throughout. 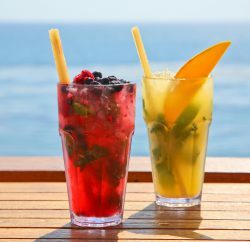 From its quaint size, you’d never guess just how successful the company has been since the local shop—the brand’s first—opened in September 2016, but it’s clear that 15 years of hard work has paid off for the company’s owners, Laguna Beach residents Gorjana and Jason Reidel. 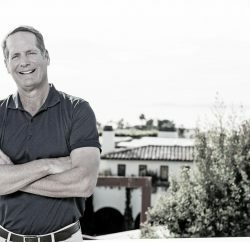 The couple are very much a part of the fabric of Laguna: Gorjana and Jason live in the neighborhood near Top of the World with their two children, with the company headquarters situated along Laguna Canyon Road. Blending classic styles with a modern design, the artistic jewelry has made a definite mark of its own, but the story doesn’t end there. Following a very DIY beginning, the co-founders continue to thrill with new collections, retail expansions and charitable donations to enrich local communities, including our own. 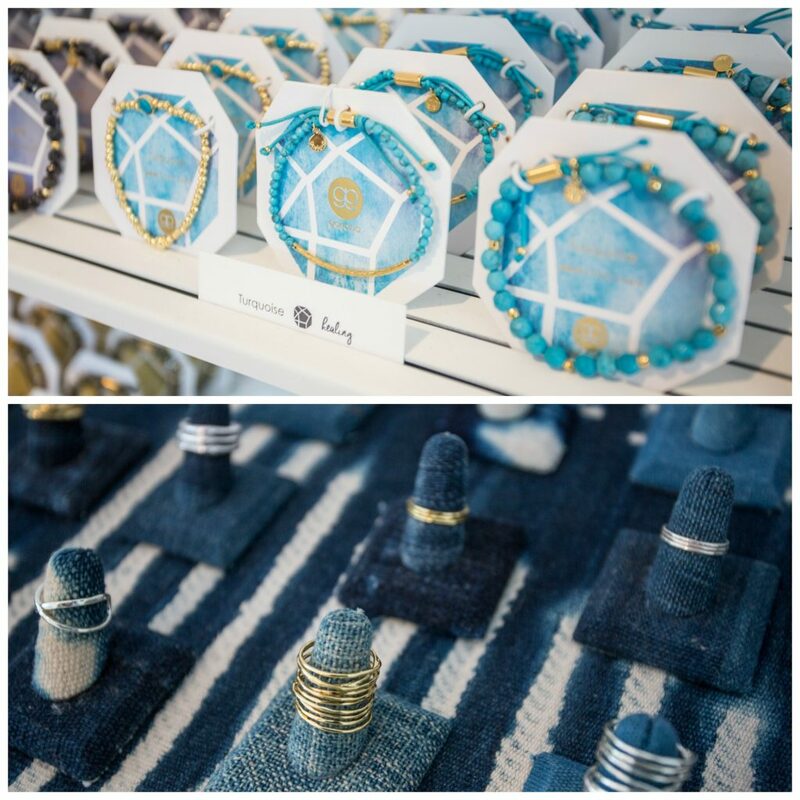 Gorjana jewelry is designed at the brands headquarters in Laguna Canyon. Gorjana was born in the former European country of Yugoslavia, but ventured to Canada before later settling in the United States. Jason, on the other hand, grew up in upstate New York. Despite their different childhoods, the pair met during college, both earning degrees in marketing (though Jason also attended law school). From that point, their worlds were intertwined. Their story starts in 2003, the year that they married and, simultaneously, when Gorjana began designing jewelry of her own. “[I] worked at Neiman Marcus—worked in their jewelry department—and that’s really where I fell in love with jewelry,” she explains. 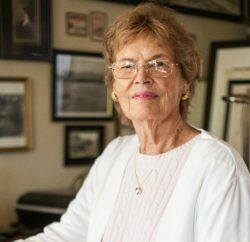 She then switched gears and began working for a fine jewelry designer, where she developed a passion for quality materials and colorful gemstones. Soon after, she started crafting pieces of her own, which friends and family raved over. “We really kind of started it on a whim,” she says of her eponymous brand. Soon enough, a family member was offering up frequent flyer passes so they could travel across the country to New York, selling jewelry by day and crashing on friends’ apartment floors by night. “One of our challenges was ‘OK, great, someone bought a bunch of orders, but we don’t even have the money to make these orders,’ ” Jason says. Between the door-to-door ventures, trips to trade shows and fulfilling orders from their apartment floor, the business grew steadily, eventually packaged as a wholesale business with an e-commerce component. “It’s interesting because I didn’t think I would dedicate 15 years straight to doing it, but we’ve been doing it together from the get-go,” he adds. Then, in 2016, the opening of the Laguna store changed everything. Jason says the Laguna store was a way of “testing retail”—and, apparently, the experiment worked. In only two years, Gorjana has seen incredible growth, adding six more brick-and-mortar shops since the Beach Street location opened its doors: Along with two in New York City, in the fashion-forward West Village and trendy Nolita, the brand has launched four new California stores, in Venice, San Diego, Irvine and nearby Newport Beach. Another in Century City is planned for later this year. “The Laguna store has done fantastic, and so much of that store’s success is really less driven on tourism and more driven [by] … all the people in the community,” Jason says. Gorjana’s versatile collections are designed to represent the California lifestyle in a variety of ways, from casual to elegant. Quality is never compromised, with each lustrous piece being plated in rich, 18-karat gold, rose gold or silver. Layering is also at the forefront of her mind when designing, incorporating necklaces ranging from chokers to long lariats. Another popular component is the use of what she calls “power gemstones”—semiprecious stones that reflect various energies, including pyrite for strength, lapis for wisdom and amethyst for tranquility. While these can be customized by color or energy, take it a step further with the brand’s Bespoke collection of bracelets and necklaces, which include complimentary engraving for an extra personal touch and can be purchased both online or in-store. On top of creating the jewelry itself, the company has worked hard to give back to the community. Earlier this year, Gorjana completed a five-year, $50,000 endowment to nearby Children’s Hospital of Orange County in support of pediatric patients, some of whom were also involved in the brand’s on-site jewelry-making workshops. Also, the Laguna store has co-hosted charity fundraisers for Court Appointed Special Advocates of Orange County, Laura’s House, a school music program in Ladera Ranch and more, and regularly contributes pieces to gala auctions and benefit events (including more than 300 so far this year). The pair says they hope to continue to be able to give back in the future—not just to local groups and charities, but also to their own team of employees (more than 100 including retail staff and the approximately 60 at Gorjana’s headquarters in Laguna), who Jason says have become part of the family. Their other goals include continuing to grow the company, keep customers engaged with the products and maintain a healthy work-life balance. But no matter what the future holds, Gorjana has already experienced more success than either of the Reidels could have imagined back when the brand was just a glimmer of an idea more than a decade ago. Celebrate the second anniversary of the original Gorjana store in Laguna Beach by picking up a few of the brand’s latest items. 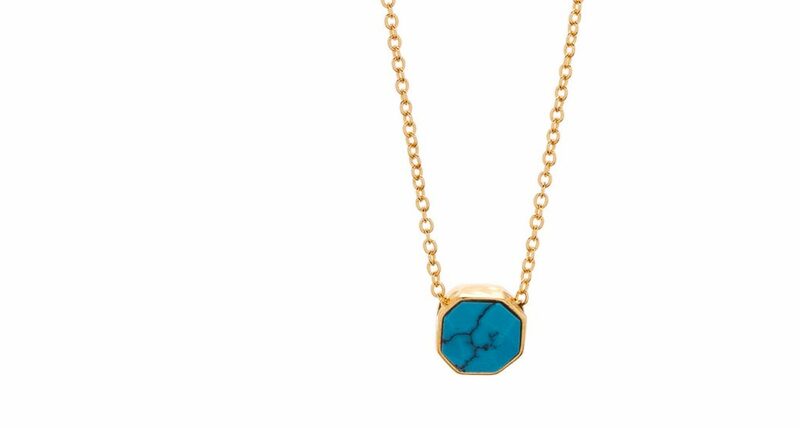 The Power Gemstone collection features a variety of pieces with semiprecious stones that are said to possess different energies, such as the POWER GEMSTONE TURQUOISE CHARM ADJUSTABLE NECKLACE featuring turquoise, which is believed to aid in healing and self-acceptance, $48. 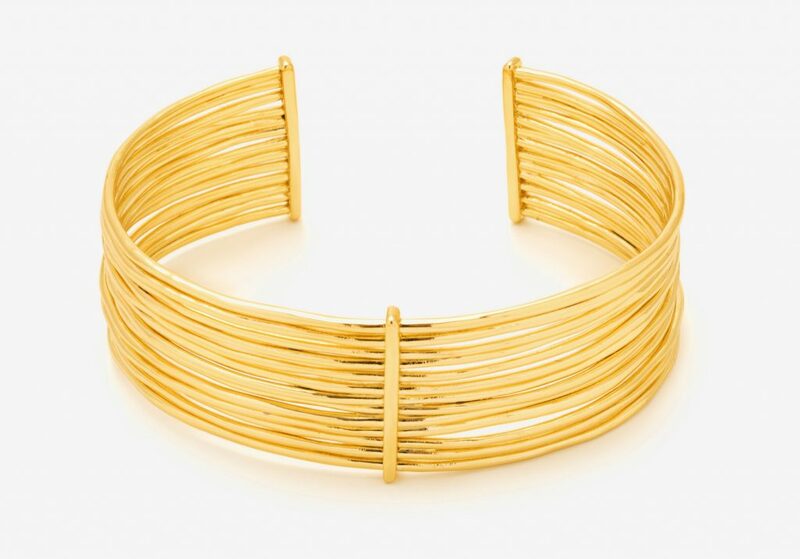 This modern JOSEY CUFF, inspired by the brand’s ever-popular Kylie Fan necklace, features clean, organic lines and a vibrant 18-karat gold plating that Gorjana uses in many of its pieces, $110. 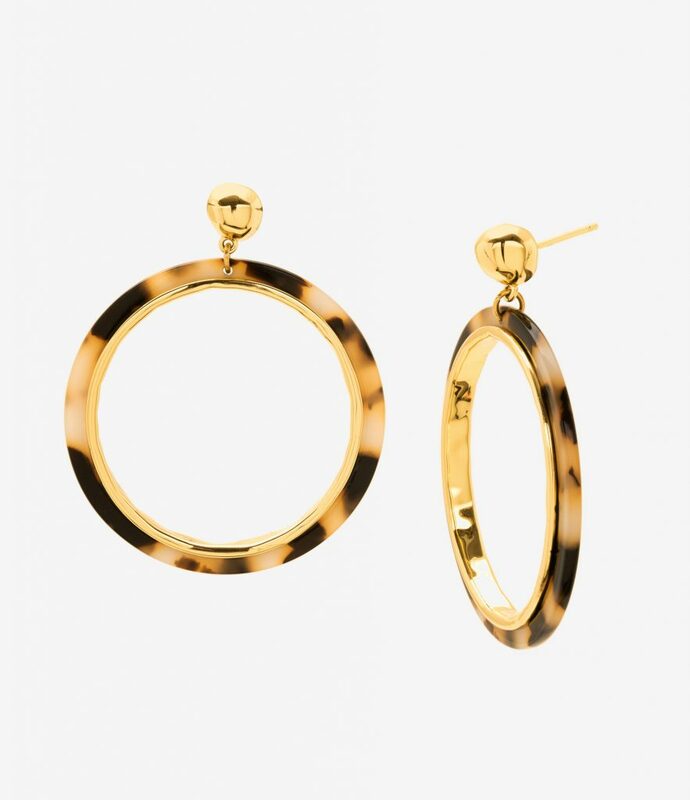 Hoops have long been a staple in the fashion world and, with the mottled tortoiseshell pattern and drop style, the IRINA DROP HOOP EARRINGS are an ideal choice for fall as the modern yet classic design will complement any autumn ensemble, $65.